Which Face Would You Trust? In a paper published in June, they suggested that our unconscious bias is a byproduct of more adaptive instincts: the features that make a face strike us as trustworthy, if exaggerated, make a face look happy – with arching inner eyebrows and upturned mouths – and an exaggerated “untrustworthy” face looks angry – with a furrowed brow and frown. 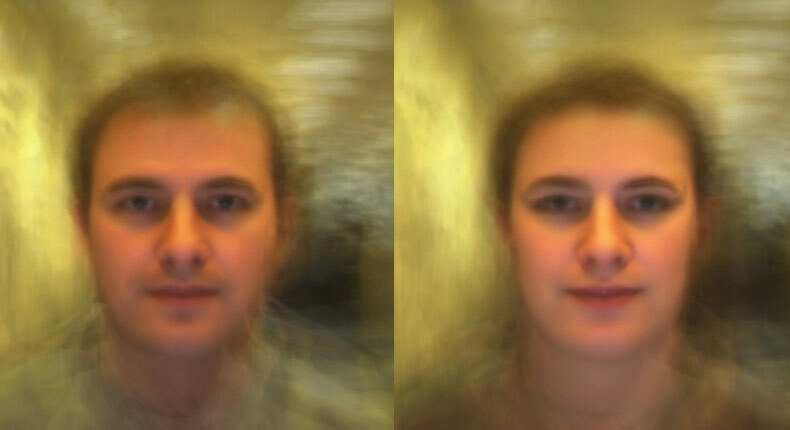 In this argument, people with “trustworthy” faces simply have, by the luck of the genetic draw, faces that look a little more cheerful to us. Just as in other cognitive shorthands, we make these judgments quickly and unconsciously — and as a result, Oosterhof and Todorov point out, we can severely and immediately misjudge people. In reality, of course, cheekbone shape and eyebrow arc have no relationship with honesty. More on this can be found in a recent Boston Globe article, Confidence Game. If you’re interested to know how candidates McCain and Obama come down on major scientific issues, the Scientists & Engineers for America have posted a point-for-point comparison here. Well worth the time.